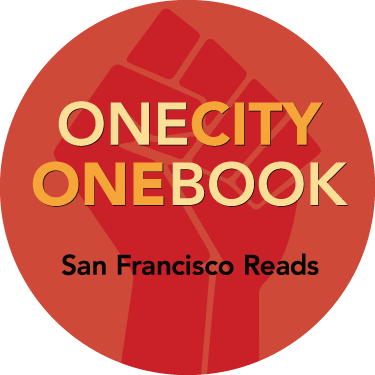 San Francisco Public Library is excited to announce that the 13th Annual One City One Book selection is Black against Empire: The History and Politics of the Black Panther Party by Joshua Bloom and Waldo E. Martin, Jr.
Black against Empire is the first comprehensive overview and analysis of the history and politics of the Black Panther Party. Bloom and Martin analyze key political questions, such as why so many young black people across the country risked their lives for the revolution, why the party grew most rapidly during the height of repression, and why allies abandoned the party at its peak of influence. Bold, engrossing, and richly detailed, the book cuts through the mythology and obfuscation, revealing the political dynamics that drove the explosive growth of this revolutionary movement and its disastrous unraveling. Read Black against Empire and join us for the 13th Annual One City One Book program extravaganza. 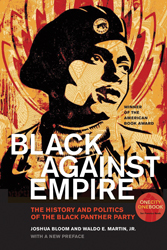 Copies of Black against Empire are featured in all San Francisco libraries and at bookstores around the city. Join book discussions, view themed exhibits, attend author talks and participate in many other events. Joshua Bloom is Assistant Professor of Sociology at the University of Pittsburgh. He studies the dynamics by which different kinds of insurgent practice transform society in different political situations. He is the coeditor of Working for Justice: The L.A. Model of Organizing and Advocacy . Before becoming a scholar, he worked many years as an organizer, mostly in the San Francisco Bay Area. Waldo E. Martin, Jr., is Alexander F. and May T. Morrison Professor of History and Citizenship at the University of California, Berkeley. He is the author of No Coward Soldiers: Black Cultural Politics in Postwar America , Brown v. Board of Education: A Brief History with Documents , and The Mind of Frederick Douglass .